A drummer is considered to be the main part of any band, and he certainly deserves the best in-ear monitors to maintain his focus on playing, especially when the crowd is cheering and screaming. It’s not always easy to make the right choice from the multitude of in-ear headphones available on the market. In-ear monitors are basically half-headphone and half-earplug. They help you to get a balanced mix of instruments on stage and at the same time providing your ear with proper protection by creating a barrier. 2.1 What Is An In-Ear Monitor? With that in mind, we have put together a list of 14 best in-ear monitors for drummers that will help to improve coordination and play better. You can also use them for general purpose as well. They have excellent noise isolation capabilities, very comfortable and durable enough to last for years to come. The new Westone UM Pro 30 Triple Driver comes with plenty of new features. The first thing to notice is its bass which is rich and full, providing you with extra punch and better articulation. It comes with drive and better tempo. What’s great about this in-ear monitor is that the bass doesn’t interfere with mids’ sound. Its mids had the crisp without overwhelming the remaining sound profile. You will love its moldable memory wire which is pretty flexible and can be easily shaped to your ear for a tight and secure fit. Once in place, they feel extremely comfortable, making them perfect for long time wearing. Its True-Fit foam tips and the STAR silicone sleeves give you plenty of options to get your personalized fitting. There is a mid-sized silicone sleeve which provides you a deep and tight fit for comfortable and secure fit. We also love the classic Westone orange carrying case which keeps your earphones protected while you are travelling. Its construction is rock solid and can easily withstand the harsh use. You will also love the UM Pro line which is made in the USA and is built to last for years to come. Etymotic is a new brand on the market but has gained a lot of fame because of its quality products tailored to music. Though the company has been making different types of earphones for decades when it comes to modern design, things are different. 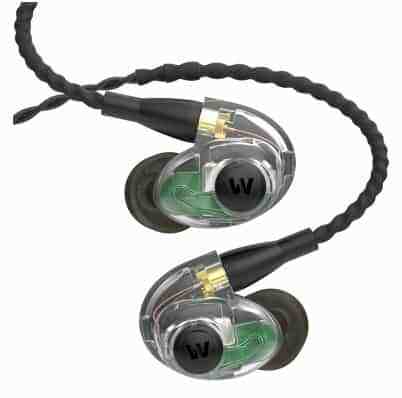 A very recent in-ear monitor they have introduced for drummers is their ER4SR model which is accurate and has a lively sound quality. Inside the box, you will find headphones packed in a hard shell carrying case. There are a user manual inside, a cable clip, filter removal tools along with extra filters and six pairs of ear tips. Because they fit perfectly in your ears, you will get good noise isolation. Its slim and smart housing allows you to wear this pair comfortably without any slips or poor grips while you play the drum. Its body is made from a smooth aluminum material which gives it the strength and durability to last for long. Aluminum body is, in fact, good and won’t break easily, especially when you have to remove the filters and clean its stem. The audio cable attached is a whopping 5-feet long, feels very sturdy and is easily moldable. Best of all, this cable can be easily replaced just in case it breaks or worn out after a long period. You can connect these earphones via 3.5mm jack. However, it comes with a ¼” adapter just in case if you ever want to connect it to some higher end audio equipment. 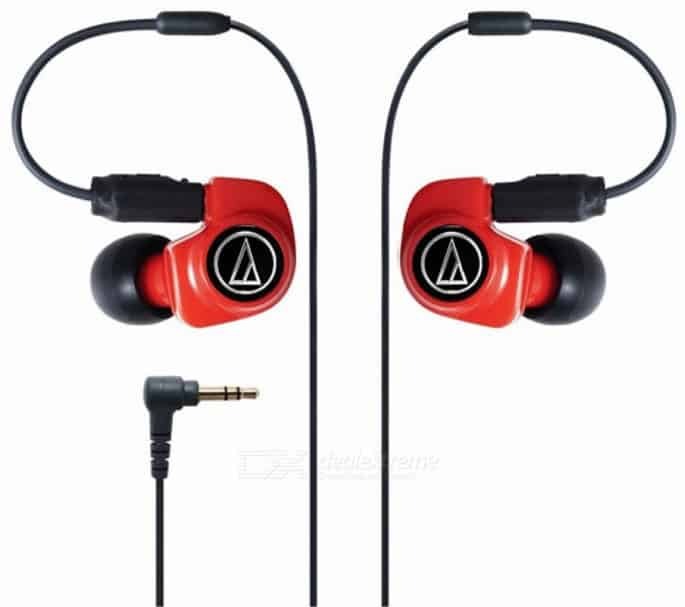 Overall, it has an exceptional sound quality, and you will enjoy playing the drums with these plugged in your ears. Audio Technica is another popular brand, and its ATH-IM02 makes sound better and offers excellent noise isolation to help you maintain your focus on playing. It comes in a typical musician’s monitor style ergonomic housing design with a thicker profile. Having a bit smaller in-ear bud, you will get a nice and tight fitting, unless you have too big ear holes. It is very comfortable, and the memory wire nicely holds it shape while you mold it into different designs. Its wire is pretty long which gives you the comfort of using it the way you want. You can even detach this cable and make use of the two-pin connector with a secure snap-in mechanism. An extra cable is included inside the package which has the same level of smoothness and durability and comes with an L-shaped plug for ease of connectivity. Though the traditional earphones you find on the market usually don’t have any right or left earplug specified. However, when it comes to a professional in-ear monitor, there are proper labels made. In case of ATH IM02, there is a small raised dot on the left side cable, indicating that the earpiece is for the left ear. A zipper bag comes along with your purchase and contains three pairs of silicone tips for customized fitting, comply foam tips and an extra cable just in case the original one breaks or worn out. Overall, this in-ear monitor will nicely fit in your pocket, and with better noise isolation capability, you will get a perfect balance while playing those drums. With a universal fitting, MEE audio M7 Pro is one of the best in-ear monitors. These earphones deliver exceptional sound quality which has deep bass and an unrivalled clarity that will make you love them more. The crisp and detailed in sound with a sleek and stylish design makes them stand out from their competitors. The comply memory foam ear tips used not only help to reduce the external noise but also gives you a nice, secure and customized fit. Shure has used state of the art technology to come up with the revolutionary SE215-K model which possesses some lethal sound isolation abilities. It has an enhanced bass which gives you pleasurable listening experience. Being lightweight, low profile and compact in shape, you won’t have any trouble wearing them and playing your drum set like crazy. The durably reinforced cable used offers easy replacement and customization. The ATH-E70 by Audio Technica is a wonderful in-ear monitor headphone which comes with three balanced armature drivers, providing you with highly accurate and an extended response throughout the frequency range. It features a flexible memory cable which nicely loops over your ear, offering a customized fit for longer wearing. At first glance, they may not appear impressive or appealing at all unless you put them inside your ears and give them a try. Inside the small carrying box, you will find silicon and memory foam ear tips and a ¼” stereo adapter plugs for multi-purpose plugging. When it comes to sound quality, you will be amazed at how clear it is and the amazing noise isolation it offers. It has a frequency range of 20-19000 hertz with a nominal impedance of just 39 ohms. You can pair it with some low-output devices and still get the same feeling and sound quality. Though you won’t have to go beyond 50% volume, and if you want to, it is too loud but without any distortion or rumbling. Overall, it is a durable pair of earphones with plenty of power and outstanding bass and treble. Another very popular in-ear monitors by Etymotic is their ER4P-T model which comes with one of the most amazing noise isolation features and unrivaled sound quality. The audio output is of professional quality, and its profile is lightweight and very comfortable. These headphones come with ACCU Driver balanced armature drivers which help to produce much realistic audio with 86% more accuracy as compared to other in-ear monitors on the market. If you are looking for extra-ordinary detail and clarity in your sound quality, Westone UM Pro10 can help you out. 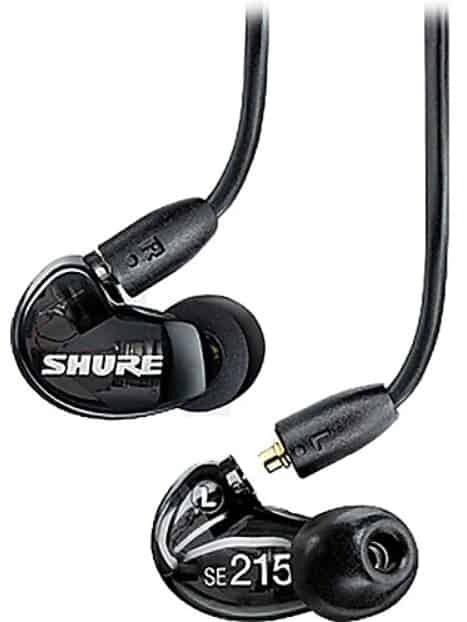 It is a compact in-ear monitor and features excellent noise isolation. This pair is capable of 25dB noise reduction. Whether you are a drummer, singer or a guitarist, these earphones are for you. The cable used can be easily replaced, and the premium quality ear tips give you a secure grip. Fender FXA2 is a popular model which comes in four beautiful colors to choose from. 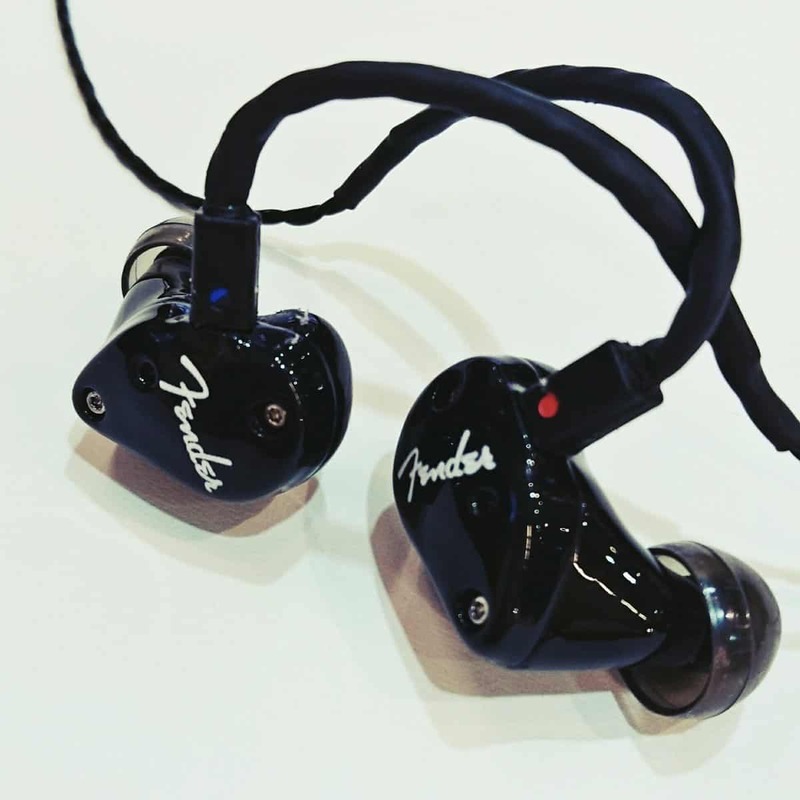 It features customized 9.25mm precision rare-earth drivers who have a groove tuned port. Its shells are 3D-printed which gives you a custom fit. With a frequency range of 6Hz-23kHz, you will enjoy high quality and lively sound. Also, for a distortion-free audio, it has 112dB at 1mW sensitivity. Overall, it comes packed in a compact foam-lined carrying case. 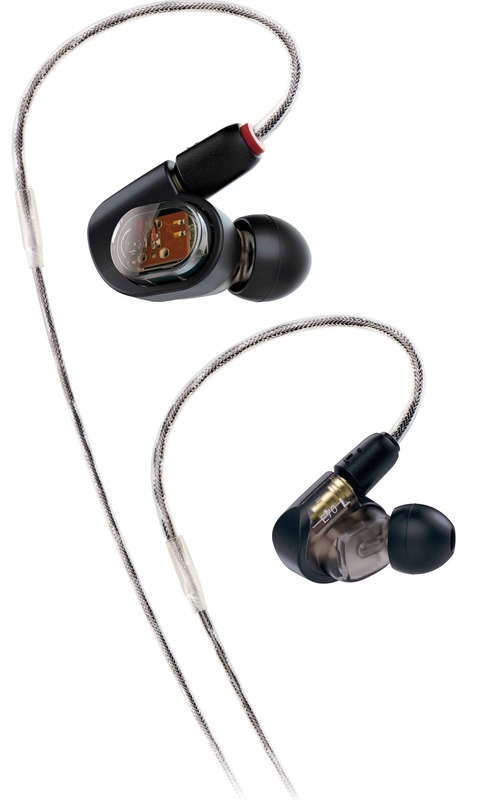 Audio Technica continues to amaze us with its amazing range of in-ear monitors. This one is the ATH-IM70 with a driver dynamic of 8.8mm, resulting in one of the richest and clearest sounds. The output sound pressure level is at 108 dB/mW which is perfect. Its audio jack connecter is 3.5mm and is gold plated with an L-shape. You can connect it to literally any device with an audio jack. Moreover, for using it with different music instruments, you can use a convertor and plug it. 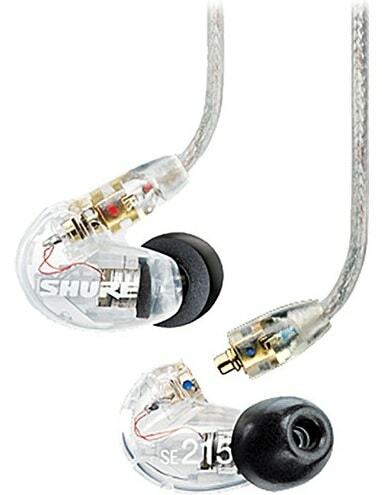 The Shure’s CL series sound isolating earphones have been evolved from personal monitor technology. These earplugs have been tested by pro musicians and drummers, and they admire it for its enhanced bass and rich sound quality. Its sound isolation features can easily block up to 37 dB of ambient noise which makes it one of the best on the market. You won’t have any external interference of sound while you are busy playing your drums on the stage. Being lightweight and low-profiled, you will get a very comfortable and secure fit. The unique optimized nozzle angle gives you a great grip in the ears and makes these headphones rest comfortably. It features a durably reinforced cable which offers a quick and easy replacement. A separate cable is included in the small carrying case which comes handy in case the its original cable breaks or worn out. Do try it with different silicone foam ear plugs that come along with the package for a unique experience. Far from the classic headphones very often of poor quality. The purpose of the in-ear headphones is to live over time. Not far from your ear preferably. And as for tight jeans. It can be unpleasant to move around with the wrong material stuck to your gourdes. For the undecided, acoustic refugees but especially music lovers at all times. This guide will guide you to choose the in-ear headset that will best suit your needs. What Is An In-Ear Monitor? Unlike traditional earphones, which only remain on the surface, the in-ear headset will fit directly into the ear canal to let you enjoy your sound as close as possible. The result is very good sound insulation with virtually no space requirement. They were originally used by artists on stage who took advantage of the extreme isolation of these headphones to get a return of their voice. Builders like Shure have noticed that they also use them in everyday life and have had the idea to offer them to the general public with the success we know them. Because even if it may seem asocial. It must be said that it is rather pleasant to cut oneself off completely from external sound aggressions to be in a phase of inner contemplation with one’s best pieces. However, the disadvantage of intras also comes from this extreme isolation that completely cuts you off from the outside world, making you lose your attention at the same time facing potentially dangerous situations. The other disadvantage comes from its mode of operation delivering music inside the ear which can discourage more than one. The feeling is very different from a helmet encompassing your ear, and we do not all have the same sensitivity on this subject. Consider testing whether this type of listening is appropriate for you before choosing a pair of these and continuing a little further in this guide. With technologies evolving at high speed, it didn’t take much for Bluetooth, which first appeared on C-arms, to appear on in-ear headsets. Wireless models have the advantage of taking up even less space by simply getting rid of the cable connected to your player. No more problems with cables improbably entangled in your pocket or stuck in the zipper of your coat (yes yes it happens)! Bluetooth in-ear headphones also have great advantages in physical activity where the cable is often very annoying. The autonomy remains however very limited. The best intras wireless is reaching with difficulty the 10 hours of listening. obliging the headphones to be reloaded very frequently. Moreover, the addition of technology inevitably affects the price, which is often higher than for conventional intras. If you do not practice any particular physical activity. The intra-wired remains a good solution especially as the manufacturers compete of imagination to reduce the encumbrance in particular by proposing flat cables and clips clothing. 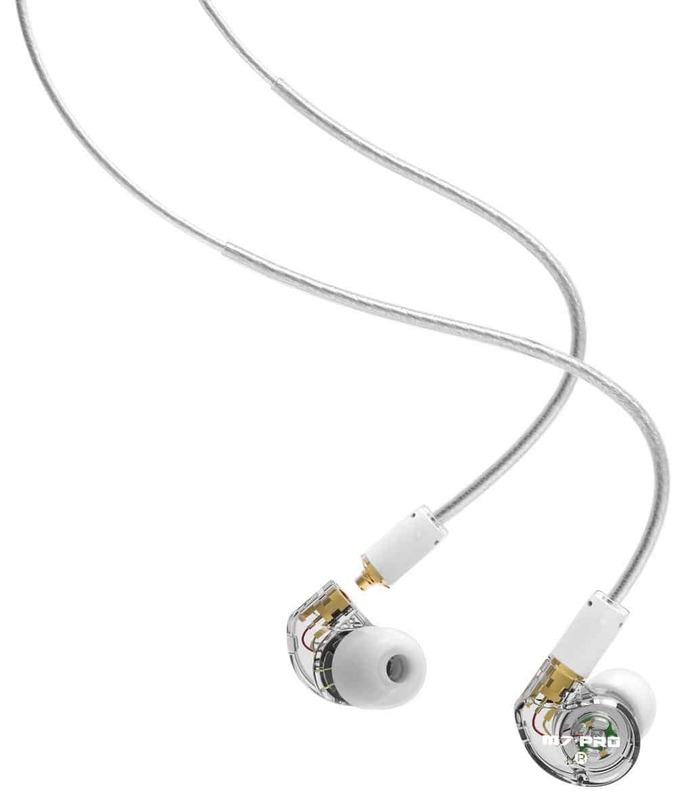 Most in-ear headphones come with a 3.5 mm mini-jack cable for connection to any MP3 player. The quality of the cable will depend on the good content of the sound signal and the longevity of your headset since if it is defective, it cannot be changed (except inside with detachable cables). Those who have already played on the cable of their old headphones to allow the sound signal to reach its destination know what I am talking about. The quality of cable design varies greatly from manufacturer to manufacturer, but as a general rule if you want intras that will live over time. Avoid entry-level cables. The connectors are also very important because they will ensure the quality of the connection with your player. An angled connector will, therefore, be less likely to be torn off than a straight connector. For an optimal connection, opt for connectors with a gold plated coating that will offer better results than silver plated connectors. Many in-ear headphones incorporate a microphone and remote control, usually located on the cable connecting the headset to the player. The price of these intras is a little higher than those who do not. But it is still much more convenient to be able to control your music and make calls directly via headphones without having to take out your smartphone. If you opt for intras equipped with a microphone and remote control. The primary purpose of the in-ear headset is to allow extended listening over a long period of time. The majority of in-ear monitors are supplied with interchangeable ear tips of different sizes to perfectly fit the earphones to the ears. They provide total isolation from external noise and guarantee the sound quality of the headphones, especially at the bass level. Bad isolation or a feeling of discomfort in the ear. With headphones that get away at the slightest jolt will make you leave your headphones even before the end of the first album. The positioning of in-ear headphones will greatly influence your choice. The majority of ITE’s have the cable down, but some manufacturers offer a position behind the head to ensure less discomfort of the cable and avoid painful tearing of the headphones. This last position is ideal for athletes who will not need to pay attention to the cable during their efforts. The sound quality of in-ear monitors is no match for that of a headband. It will, however, vary greatly depending on the models and especially on the money you wish to invest in. For the current models, the frequency response oscillates between 15 and 25,000 Hz, which corresponds to the standard for being considered Hi-Fi. Premium models can go much further from 5 Hz to 40,000 Hz with absolute precision across the entire sound spectrum. Accessories that you can buy separately but which are still rather welcome when they are supplied directly with your purchase. Look carefully at the accessories provided with the earphones to avoid additional charges. Different brands will give you a different experience. Based on your personal preferences and budget, you should make a wise decision. Feel free to share your thoughts in the comment section and don’t forget to subscribe to our newsletter.